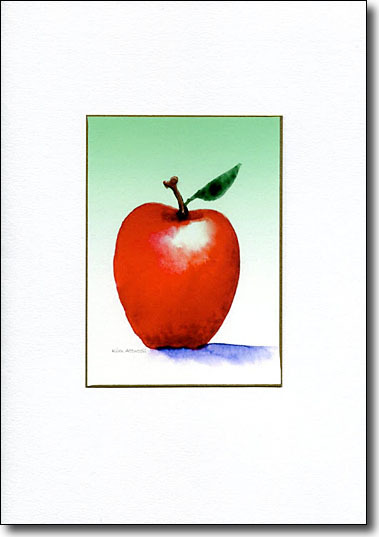 Colorful watercolors of an array of fruit greeting cards and vegetable cards make unique all occasion cards and look wonderful when framed in groupings. 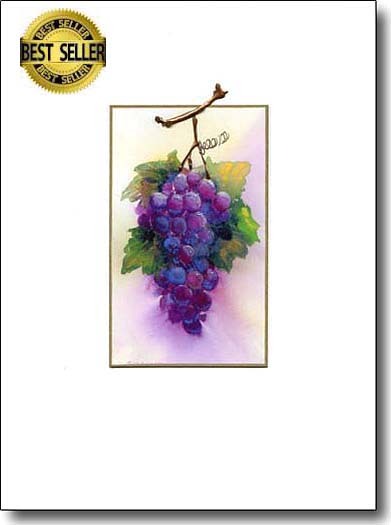 This fresh and original card is perfect to accompany a bottle of wine. Your host may frame it in the bar. 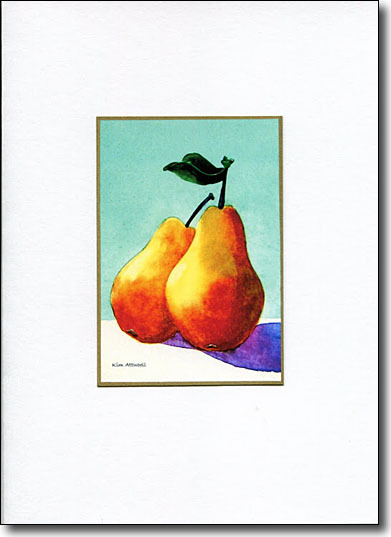 Bright colors and a compelling image make this an appealing card for couples and love. 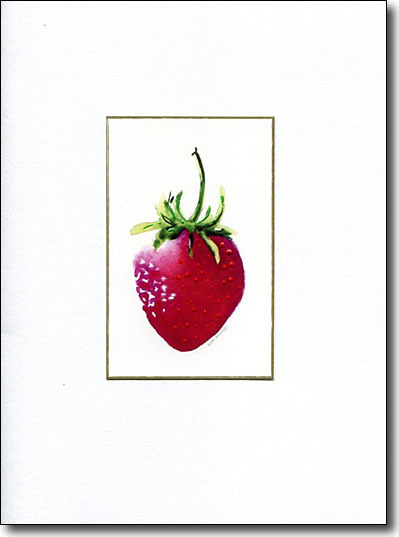 This greeting card has a plump strawberry on it. The enhancement in neon pink makes the image pop. 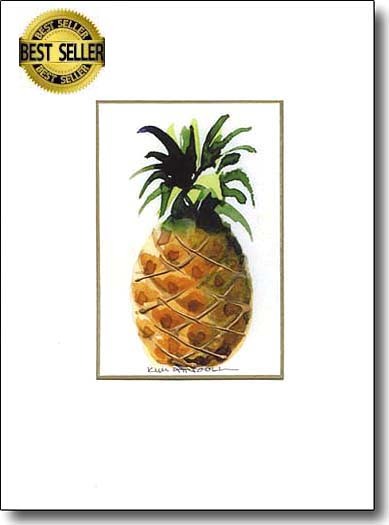 A great one to frame along with other fruits. 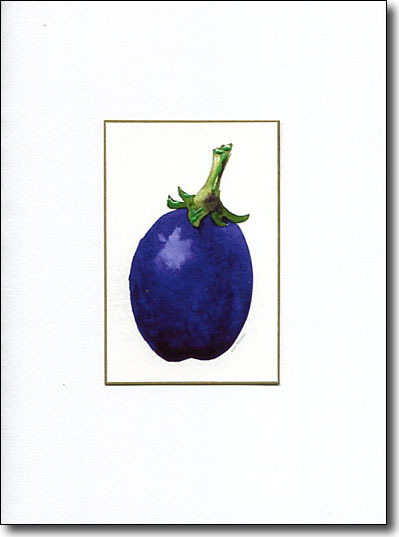 The purple grapes on this enhanced card are very dimensional and eye catching. 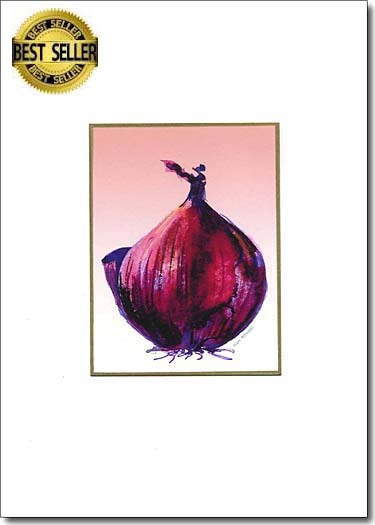 The image has a country style that appeals to a wide market. 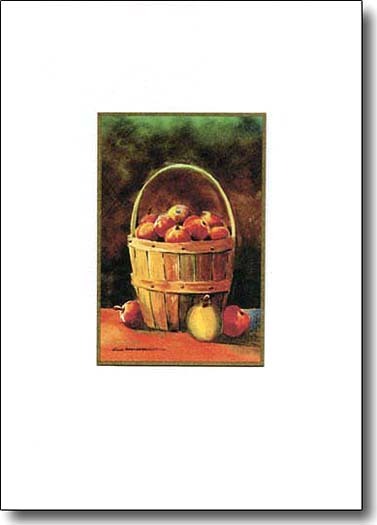 Send this homey card to lovers of the simple life. It looks wonderful in a copper or gold frame in a rustic room. 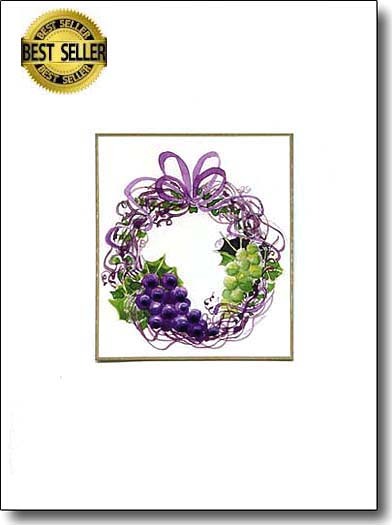 The symbol of hospitality and warmth is touched with gold and is a perfect house warming card. Realtors love using this image to celebrate the closing with their clients. 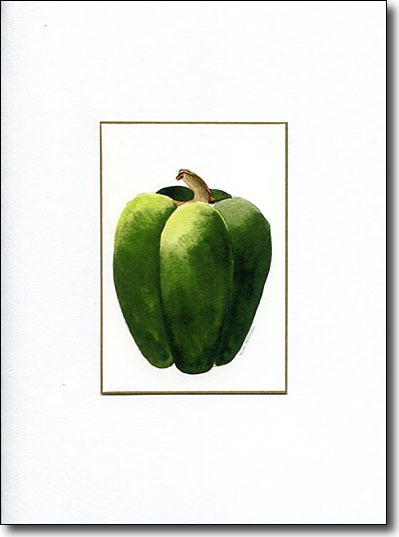 Looking for a unique greeting card to send to a teacher?.....you just found it. This subject took a bit more time and thought than I usually give to subjects that I delight in simplifying. Happily it turned out to be worth the effort. 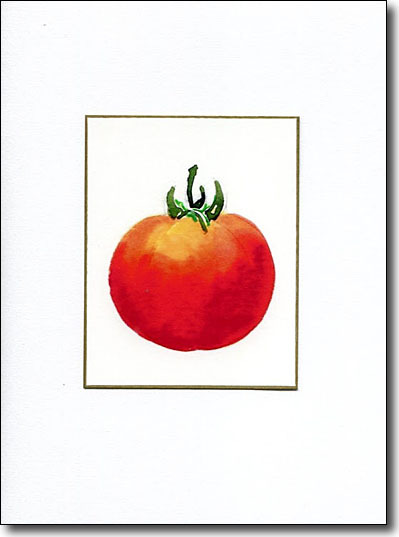 I hope you consider framing it along with some of my other vegetable cards. Along with the other vegetables, this punch of green joins the group with it's own unique statement. Hungry yet? When painting this seemingly white subject, I was happy to observe that violet and yellow ocher comprise much of its make up. 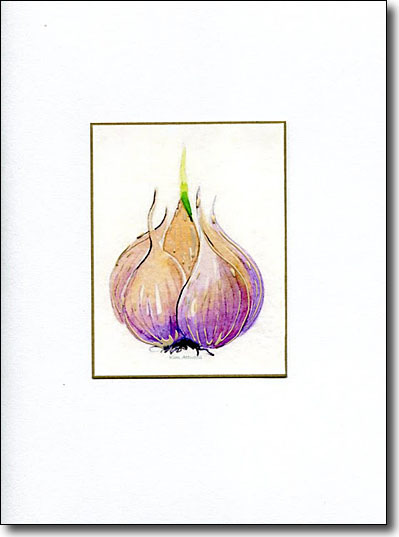 The garlic as a card? Ever want to send a you stink greeting? Now we're cooking! 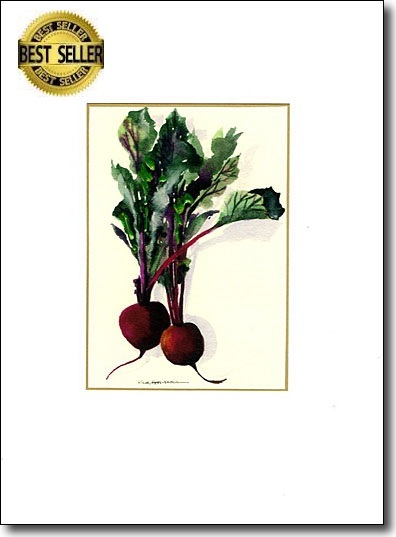 This image is a must in any grouping of vegetables that are to be framed. As a greeting this one eludes me but it is a necessary part of a framed vegetable grouping. This is a fun watercolor. When I paint it in demos I love showing the green falling into the red. It has been used as a love card with the words...my heart beets for you.